Footlight Performance Academy, incorporating Born2Perform, is a long established organisation offering dance and musical theatre training to a variety of ages throughout the local area. The Dorset based theatre school was established in 1987 and the school offers many years of experience in the performing arts profession from it’s many locations around Wimborne. 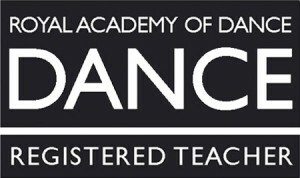 Classes are available in RAD Ballet, ISTD Tap and Modern, LAMDA drama, singing and DDMIX for adults. Footlight offer a warm and nurturing environment for all ages, and many of the footlight students have gone on to work in musical theatre and with professional dance companies. Their future is our passion. My daughter has been dancing at Footlight for 8 years. I have watched her grow in confidence, gaining not only ability but a strong and lasting friendship group. We both look forward to many more years to come. Well footlight is like a second home and the minute you join you become part of the family. It’s something you can’t experience anywhere else.